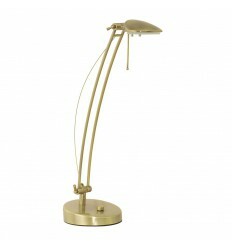 Desk Lamps - Hegarty Lighting Ltd. Desk Lamps There are 37 products. 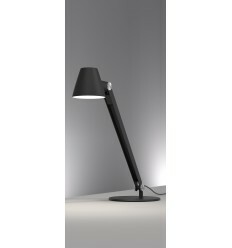 The Arles table lamp with its convenient flexible stem ensures that you can get light where you need it. 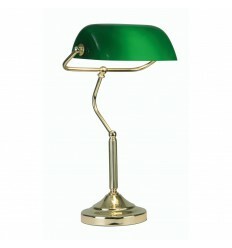 Banker's desk lamp with a traditional green shade. 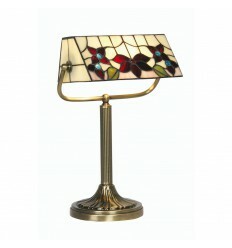 The Camillo bankers lamp has a decorative antique brass finished base, black lead detail and simple flower/leaf design. 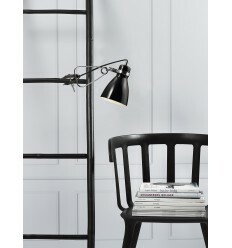 The Cult table lamp from Nordlux is a stunning fixture that features a metal build with adjustable head and a circular base which holds the piece along with a clamp. Such qualities would make an ideal addition to a home as living room lighting, bedroom lighting, conservatory lighting, study lighting and hallway lighting. 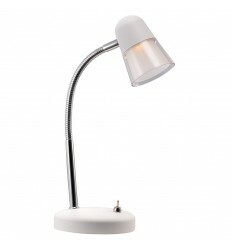 The Cyclone clamp light is a Scandinavian design from Nordlux. 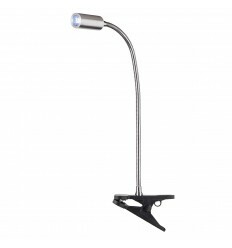 This sturdy metal reading light can be attached to a wide range of furniture such as a bedhead, desk, or shelf for added illumination to any work area. 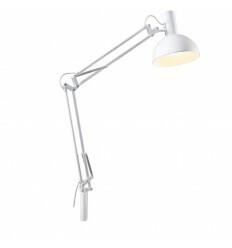 The metal shade can be adjusted to any position required and tightly secured with a metal clamp. 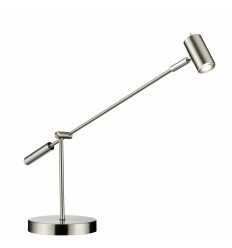 The beautiful, contemporary desk lamp is versatile and functional and it brings to your room a modern and minimalistic design. 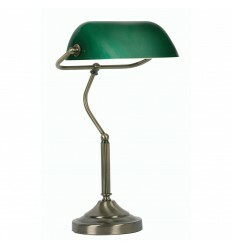 This retro, angled Hobby table lamp is styled on an iconic design. The hinged base, central column and cylindrical shade are fully adjustable, enabling you to direct the light just where it is needed. 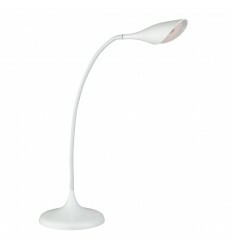 Ideal for use in a study room or a childrens bedroom, contemporary desk lamps do not get more desirable. 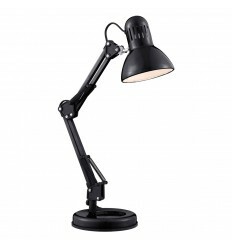 This Desk Partner white LED task lamp is a functional and stylish table lamp which is great for a spot of late night reading or paperwork. 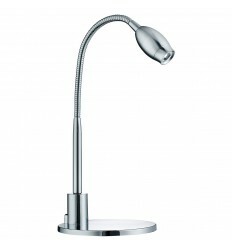 This LED table lamp is great for a spot of late night reading or paperwork. The stylish round rectangular shaped head uses the latest energy saving LED technology, and double bar chrome finish frame adds to the sleek, modern design. The circular base features a useful illuminated touch switch for when it’s too dark to see. 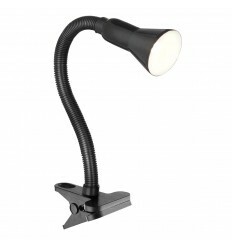 This Desk Partner task lamp is a functional and stylish clip-on lamp which can be attached to a wide range of furniture such as a desk or a shelf, enabling you to direct the light where it is needed and leaving plenty of desk space. 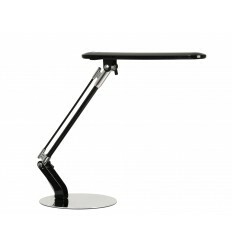 This Desk Partner chrome LED task lamp is a functional and stylish clip-on lamp which can be attached to a wide range of furniture such as a desk or a shelf. 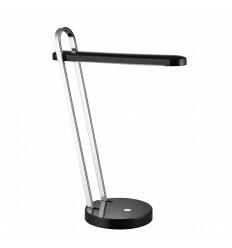 This LED flexible table lamp is specially designed to simulate natural daylight making it the perfect companion for reading, writing and working. 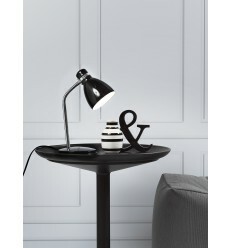 The LED Desk Partner table lamp is a simple, stylish design with a fully adjustable cylindrical white shade that can be moved forwards or away from the elegant matching stem.